You won’t forget your first round at Spallumcheen GC in a hurry for the simple reason it’s called Spallumcheen - not some homogenous, all-purpose name so easily forgotten but…Spallumcheen. According to the BC government’s web site, the name is derived from a Shuswap (an interior BC First Nation Tribe) Language term – ‘spal-lum-shin’, meaning ‘meadow flat’. Any course description that uses the words ‘flat’ and ‘meadow’ doesn’t usually do much for the traveling golfer. It doesn't send chills down his spine. He won't clean his clubs in preparation, nor lay his best slacks out the night before. It would be wrong to suggest, however, the meadow in which this Les Furber-design lays is entirely flat. 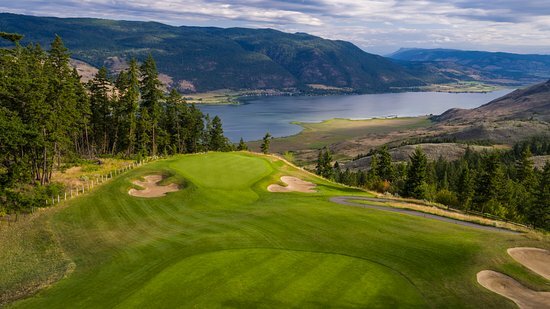 And far from being the rather dull layout the name might suggest to a Shuswap speaker, Spallumcheen is actually a terrific golf course you’ll be very glad you visited. It opened in 1970 and was purchased in 2006 by Edmonton’s McCracken Family whose company - Canada North Camps Group – was founded in 1998 and comprises several subsidiaries specializing in remote workforce housing. Paul McCracken, the company’s President and principal, has also been involved in the golf industry, building Spruce Meadows GCC in Sexsmith, AB in 1982, and owning/operating two more courses since then. Spallumcheen is ten miles north of Vernon which is 30 miles north of Kelowna. 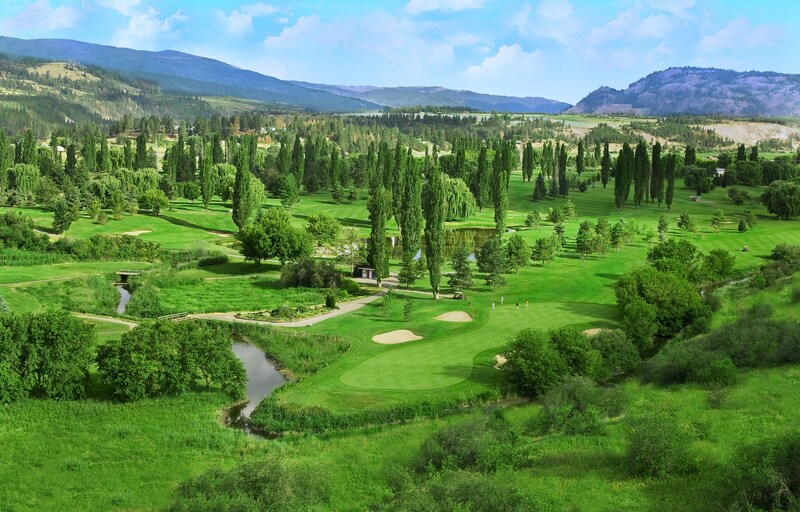 Spallumcheen is a semi-private course with 450 members that plays to an enjoyable 6,423 yards off the back tees. It certainly isn’t a bucket lister you have to tick off your must-play list, but it is a fun round full of delightful holes and interesting shots. Greenkeeper Jim Simm’s excellent poa annua greens have breaks and borrows that have grown ever more subtle since the course opened 48 years ago, and there’s a nice variety in the holes’ shapes, direction, lengths, and challenges. Besides a few parallel fairways on the western half of the course (8, 9, 11, 18), the routing is interesting and throws up an assortment of views and winds. Best of all (for me anyway) is the number of magnificent weeping willows you pass during the round - who doesn’t love a good willow tree? Well, Superintendents for starters as they have terribly thirsty, complex roots prone to piercing the surface. A lot of golfers aren’t partial either because of their large, impervious canopies. But I like them, and Spallumcheen’s specimens are glorious. The visitor green fee is $70 CDN (about $55 US), and there’s a fun, nine-hole executive course you can play for $23. The food in the clubhouse gets excellent reviews and the staff is as friendly as they come. Head professional Myles Johnson grew up playing at Spallumcheen, becoming the assistant pro in 2003, and being promoted to the top job 12 years later. In July, he and his wife entered the hospitality industry buying the Castle on the Mount guest house a couple of miles outside nearby Vernon in order that Mrs. Johnson could spend more time with the couple’s young son. Myles though spends his day doing typical head pro things - teaching, running the tee sheet, overseeing operations in the pro shop, managing a staff of 20, and liaising with members. He’s also very conscious of how Spallumcheen fits into the newly-formed (February 2018) Vernon Golf Group - the city’s collection of five courses together trying to put Vernon golf on the map, drive longer stays in the city, and generate more golfer traffic. By far the biggest city in the Okanagan Valley with a population of nearly 195,000, Kelowna is located halfway up the skinny north-south-oriented Okanagan Lake on the eastern side, and gets aaaall the attention. Even Kevin Poole, Vernon’s Manager of Economic Development & Tourism, concedes that when the Okanagan comes up in conversation, Kelowna is always the first place people think of. But, he adds, his city has an excellent relationship with its neighbor to the south. 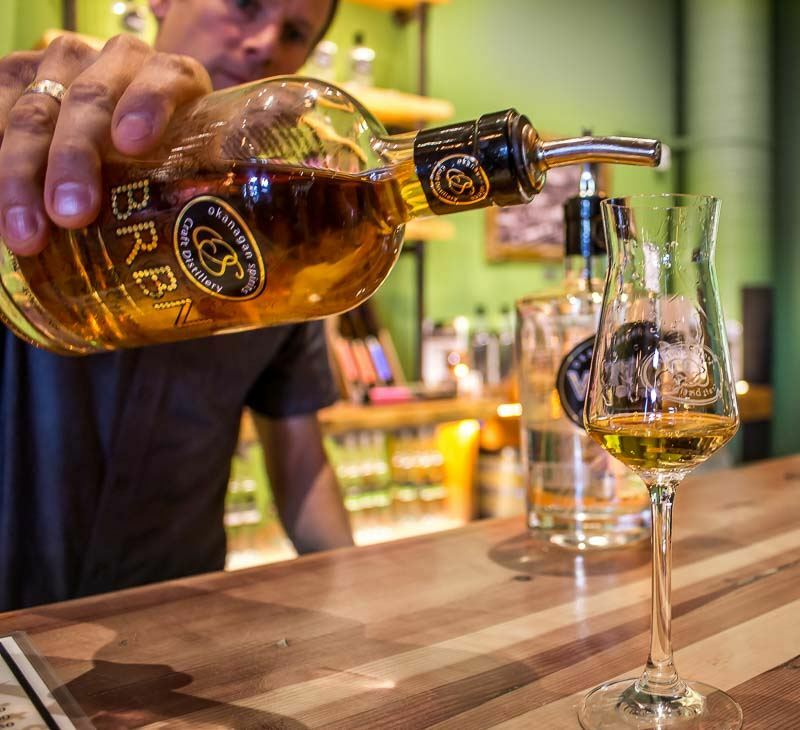 Cool downtown businesses like Marten Brewpub on 30th Avenue and Okanagan Spirits Craft Distillery on 24th St. are giving the city center a more sophisticated vibe than it once had, and the Golf Group is looking to do its bit too. The main player in the fivesome has to be Predator Ridge, a nationally-renowned golf resort spanning 1,200 acres with all the amenities and lodging options (as well as 700 homes) you’d expect at a resort of this size, including 36 holes of golf. It started out with 18 Les Furber-designed holes in 1991, but nine more were added before the turn of the century. Doug Carrick was hired to add a fourth nine and rebuild the old Peregrine Nine forming the 18-hole Ridge Course which opened in 2010. The old Furber-designed Redtail and Osprey nines were then combined to form the Predator Course. The Predator is one of Furber’s best efforts and possesses a number of fine holes, especially on the back nine. It is Carrick’s Ridge Course, however, that enjoys a slightly higher approval rating. Building a really good mountain course is one of the golf architect’s toughest assignments, especially if it has to work its way through housing. Toronto-based Carrick made a superb fist of it, however, minimizing the houses’ impact, maximizing the views, and nullifying the slopes' impact. There may be some uphill drives between greens and tees (yes, a cart is an essential companion), but only a couple of holes actually play uphill. Carrick certainly had to be at his creative, resourceful, and innovative best in devising a route up, down, and over the hills at Predator Ridge, but his task was fairly simple compared with that which faced Gene Bates and Fred Couples at The Rise - about seven miles west, and 1,000ft up, from downtown Vernon. The Rise (or, in the case of the dramatic 17th hole, the fall). The course’s web site and promotional material will tell you Couples designed the course and, while he certainly made a major contribution – probably more than most big-name player architects do – it’s hard to picture the former Masters champ toiling over this grueling landscape for months, sitting at a drafting desk until the early hours, and working out how he was going to connect the 18 holes in a way that made sense. For all that, he needed the considerable talents of Gene Bates with whom Couples has now designed 14 courses of which the Rise was the twelfth. Bates is a Florida-based architect whose design credits include Circling Raven in Idaho, Salish Cliffs in Washington, Soldier Hollow in Utah, Sentosa in Singapore, Carolina National in North Carolina, and Bayonet, Black Horse, and San Juan Oaks in California. Fred Couples and Gene Bates first collaborated in 1991. An investment group hired the Bates/Couples team in 2005 to build the course on land that Bates regards as the most ‘intimidating’ of his career (though designing the Canyons course at the Canyons Ski Resort in Park City UT, might actually have trumped it, he admits). The 4th at the Rise. Work on the course stopped during the harsh winter months meaning construction happened for 12 hours a day, seven days a week, when the rain and snow disappeared and the ground firmed up. No doubt, The Rise is an engineering marvel, a tribute to man’s daring and adventurous spirit. A hundred years ago, any architect asked to build a golf course on such a site would have stared at the man proposing the venture for a good long while before erupting in a huge belly laugh. It might not be to everyone’s taste as nothing polarizes golfers like a mountain course with excessive elevation changes, and there are a couple of holes that even the course’s biggest fan might concede are a little awkward. 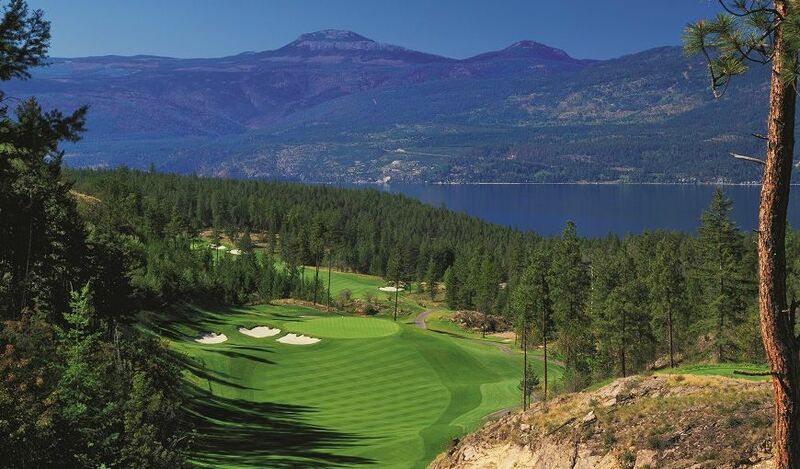 But there are a number of very good holes, and the views over Okanagan Lake are incredible, especially coming down the 17th and 18th; Alex Rokus does a superb job of maintaining the playing surfaces in testing conditions, the entire staff from Chad Scott in the pro shop to everyone behind the bar at Freddy’s Patio is accommodating and friendly, and the peak green fee is a very reasonable $109CDN (about $85). 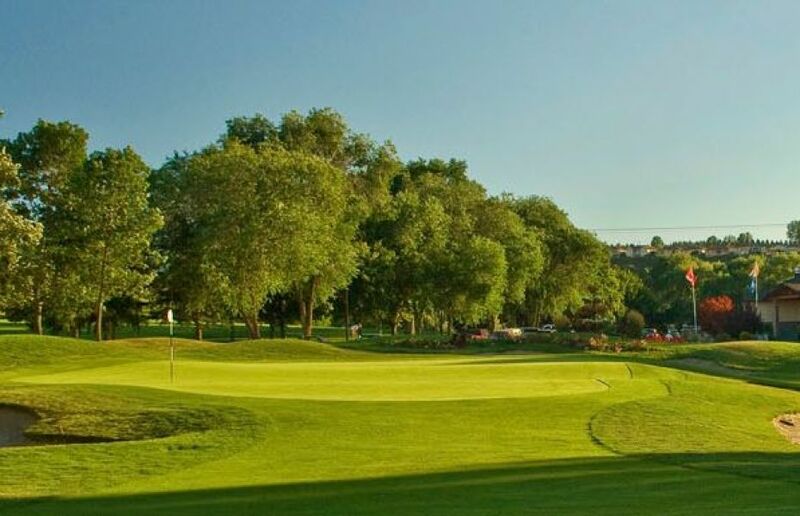 Last, but certainly not least (chronologically it’s first, in fact), is the Vernon Golf and Country Club whose history dates back more than a century. The club was first located in an area of town, on its eastern edge, known as ‘the BX’ - the ‘B’ stood for Francis Jones Barnard, a gold prospector from Quebec who became one of the city’s most prominent businessmen, the ‘X’ for the express mail service he operated on behalf of the British Columbia government beginning in the 1860s. The club quickly grew too large for its first home though, so moved to East Hill in 1920. Its time there was even shorter as it was forced to move to its present location just two years later. It moved again, this time to an area just outside the city limits called the Commonage, but the move was short-lived and the club soon returned to Kalamalka Lake Road where it eventually expanded to 18 holes under the direction of Ernest Brown, a member of the BC Sports Hall of Fame (inducted in 2003), and one of the province’s most influential professionals and administrators. Course designer Dan Kitsul shaped the greens. The club operated as a for-profit corporation from its outset until 1960 when the members took over ownership. Like Spallumcheen, Vernon is a classic, no-frills parkland course that’s always in good shape and always an enjoyable round. It has few holes you'll still be telling your friends about in five years’ time, but likewise it has no holes you’d consider weak. It’s a strong 6,609 yards from the back tees, and a lovely walk. Something at Vernon GCC you will recall for years is the friendly welcome from staff and members and the exquisite prime rib and Yorkshire Pudding on the dinner menu. Eighteen holes followed by prime rib at Vernon GCC is a heck of a way to spend a day. 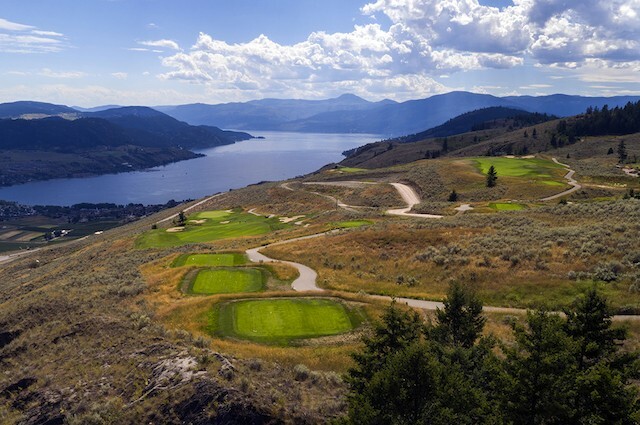 In fact, five or six days of golf in the city of Vernon plus a day to relax at the Predator Ridge Resort or on beautiful Okanagan Lake is a pretty special way to spend a week. In 2005, Consumer Reports ranked Vernon in the top six most desirable communities to retire to in North America. 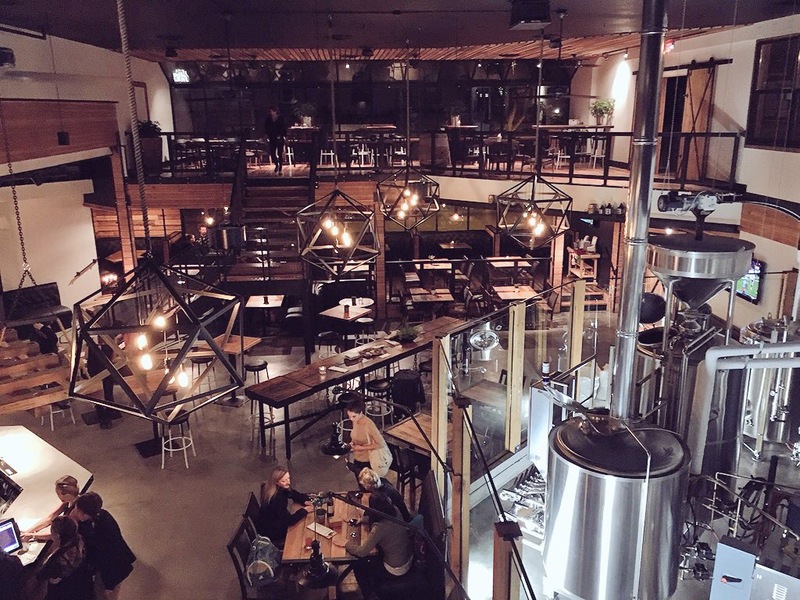 Now in 2018, it has become an excellent golf road trip for the Bellingham Golfer - full of fine golf, good beer and spirits, quality accommodations, and excellent value for money. Could it be that Vernon is at long last emerging from Kelowna’s long and menacing shadow? NB - It gets cold in Vernon during the winter (average daily temperature of about 25 degrees in December and January with about 20 inches of snow) so courses close down. Spallumcheen and Vernon typically close in the first or second week of November and re-open in February or March. Predator Ridge and The Rise may close a couple of weeks later, and reopen a little earlier. If you're going in fall or early spring, check ahead to make sure the course is open. The summers are gorgeous though (highs in the mid-70s to low-80s with only an inch or two of rain from June to August).